Toilet Ek Prem Katha Review & Rating: TEPK movie releases on August 11, 2017. Toilet film is one of the most loved flicks by the audience. Till now, this year hasn’t been positive at all for Bollywood films. The industry is desperately waiting for a big hit. The last year’s blockbusters like Aamir Khan’s Dangal and SS Rajamouli’s Baahubali 2: The Conclusion continues to be the highest grosser Indian films so far in the history. Both of them touched the hearts of the audiences. Here we are going to talk about Toilet Ek Prem Katha movie review. Let’s see if the movie has met the expectations of the audience or Akshay Kumar follows up the legacy of Salman and Shahrukh in giving flop films at the box office once again. Independence day continues to be one of the most positive days for Akshay Kumar in order to release his blockbuster films. Akshay did another film this year in supporting role named Naam Shabana but not able to gather big audience in the movie theaters. Toilet Ek Prem Katha film is comparatively much more talked about among the masses in India. The film is getting good feedback from the fans even before the release. Having an implied connection with Prime Minister Narendra Modi’s Clean India drive have thoughtfully helped the film. 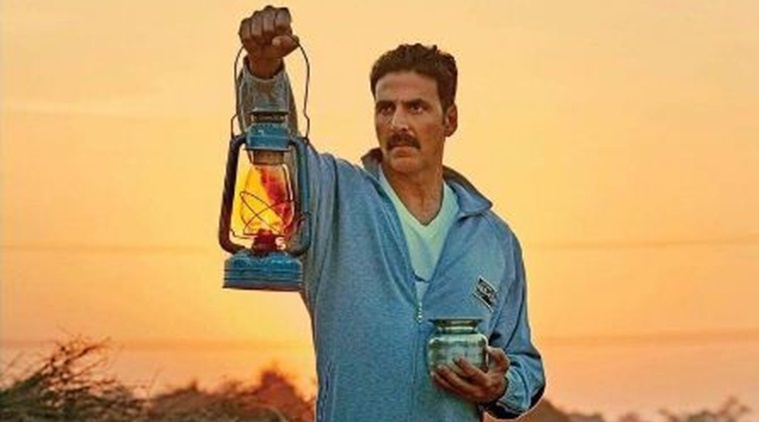 The film is directed by Shree Narayan Singh who is better known for editorial work in Baby, MS Dhoni, A Wednesday and most importantly, Special 26, film after which Akshay’s new taste of doing movies came in public. It was his first work as Director and getting Akshay Kumar signed is really a big deal for him which he performed really well. Coming back to the Toilet movie review, Toilets and sanitation are unbelievable taboo topics of the Indian society. People know about it but doesn’t feel good to talk about it in the public. The film covers various opinions from different groups of the society regarding having a small cubicle inside the house to get revived. The film opens up with young and energetic Akshay Kumar who is possibly the most careless person in this universe. The movie follows up showing some religious sentiments believed by elders of the house. The first quarter of the film is focussed on making the audience understood actual situation in Indian houses. The second quarter follows up the after marriage story and the adverse conditions faced by the newly married couple from the same society who never let them had a bathroom in the house. The second half of TEPK is the most entertaining part which keeps the audience engaged with the continuous fight of lead actor Akshay Kumar for his family. The plot is very much predictable. The way through which the film reaches its plot is really interesting and could be the reason behind going for the film in theaters. TEPK flick doesn’t have fascinating songs but the overall level is average. Sonu Nigam melody increased the impact in average songs. Coming to the fact songs are the backbone of any successful film in Indian box office and TEPK lacks it which could be considered negative. Throughout the time frame, one would continue to wonder about misconceptions followed in the majority of Indian houses. This movie could be a nightmare as well for the people having non-progressive thinking in the real life. However, the international audience may find it difficult to match up their thoughts with the film. Having lots of Indian sentiments attached to the main topic, the movie does seem impressive from the audience view but it would be interesting to see how it performs on the box office. Releasing such film in India which is a country of different cultures and religions but not toilets, is definitely a tough job which is carried out well by the team of Viacom 18. TRT gives it 3 out of 5 stars. All goes to raising awareness of such a crucial topic. Considering the overall storyline, it’s far best film released during this year. It would be interesting to see if TEPK flick would be able to help in inaugurating some actual public toilets in India or not. The movie is made on a budget of about Rs. 40 cr. The trade experts are expecting it to earn around Rs. 10 crores on its opening day (Friday). Let’s see how the film performs at the BOC. Let us know your views and thoughts. Stay tuned to TheReporterTimes for latest Bollywood updates and news around the world.